Based in Cambridge, Massachusetts, Immerz, Inc. is an award-winning developer of cutting edge products and technologies. Over the past five years we’ve refined our patented, proprietary acousto-haptic technology and used it to power our groundbreaking entertainment and communications devices that allow full immersion in games, movies, and music. 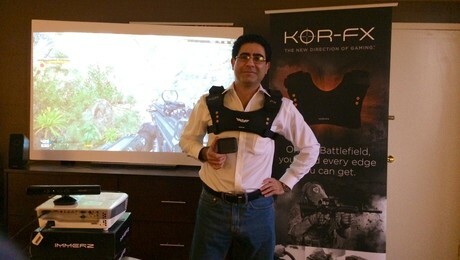 KOR-FX—our first product available to the public—will be launching in 2014. info@korfx.com.